MA AI ARTS inc, was founded in January of 2010 by Marek Kozlowski. The purpose of the company was to share his knowledge and experience of Martial Art Jujitsu and also to provide Massage services. The following year, Marek opened the MA AI ARTS Jujitsu school and taught a wide range of classes to both children and adults. 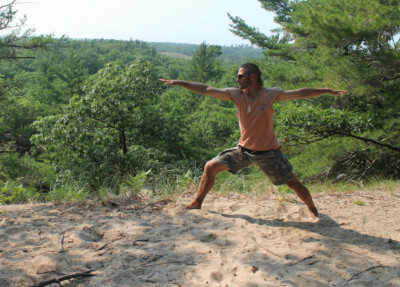 In 2012 he expanded services offering Yoga classes. In 2016, Marek named his school Long Life Studio to emphasize benefits of practice Jujitsu and Yoga. Jujitsu teaches you self defense, how to control your body / mind, and how to harness your internal power. The purpose of Yoga is to find physical, spiritual and mental harmony. The purpose of Message is to restore physical and mental balance. Combined together, Jujitsu, Yoga and Massage teach self defense, self awareness and promote a healthy life style. Long Life Studio is the place to experience it. Jujitsu and Massage complement each other and have equivalents in Chinese philosophy which states that Jujitsu is Yang (strong component) and Massage is Yin (soft component). These two components are like two sides of the same coin. Combined they are the one piece, which is called Tao. 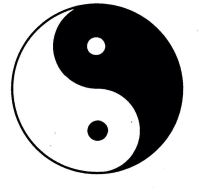 The concept of Yang and Yin is fundamental to an understanding of Chinese philosophy and medicine. Yang and Yin constantly interact, never existing in absolute stasis. Everything has both yang and yin aspects, although Yang or Yin elements may manifest more strongly in different objects or at different times. Jujitsu is strong (Yang), but in the same time requires great sensitivity (Yin). Massage requires great sensitivity (Yin), but sometimes has to use more obvious methods (Yang). Yoga is another great way to achieve balance in our life. It also includes Yang and Yin resulting in components of Tao. The art of Jujitsu, Yoga and Massage have a lot in common, and each share the same goal; to find balance in the mind and body. Overcome life’s obstacles with a strong body and mind. The road to health starts with a single step. Marek has over 20 years experience in Martial Arts, and has practiced Jujitsu since 1999. He started his journey in Poland at the age of 15 and was captivated by the spirit of the martial art. In 2005, he moved to Chicago, and began a practice of Danzan Ryu Jujitsu. In 2011, Marek open a martial arts school on the North West side of Chicago, where he taught both children and adult Jujitsu programs. 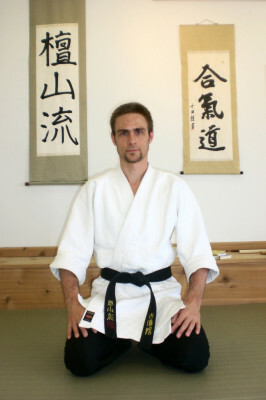 In 2013 Marek was promoted to Sandan; a 3rd degree Black Belt. Since 2007, Marek has been member of The American Judo and Jujitsu Federation, and in 2009 he become a certified instructor. Marek is a Certified Hatha Yoga instructor. He received his training from the Temple of Kriya Yoga in Chicago, IL. The Hatha method emphasizes proper bone alignment combined with correct muscle engagement. His students are guided with detailed instructions on emphasizing breath awareness and their inner feelings. Marek incorporates Yoga in his Martial Art classes, and believes that those two arts have shared attributes and benefits. Marek focuses his instruction and teachings on identifying the similarities between two elements, instead of the differences.